When Are We Truly Satisfied? Somehow last week I started charting my own course, trying again to control my destination. I think it started by cramming way too many writing assignments into a space already jam packed with house remodel projects, laundry, time with friends, and keeping all my thoughts and priorities in correct alignment in my head. 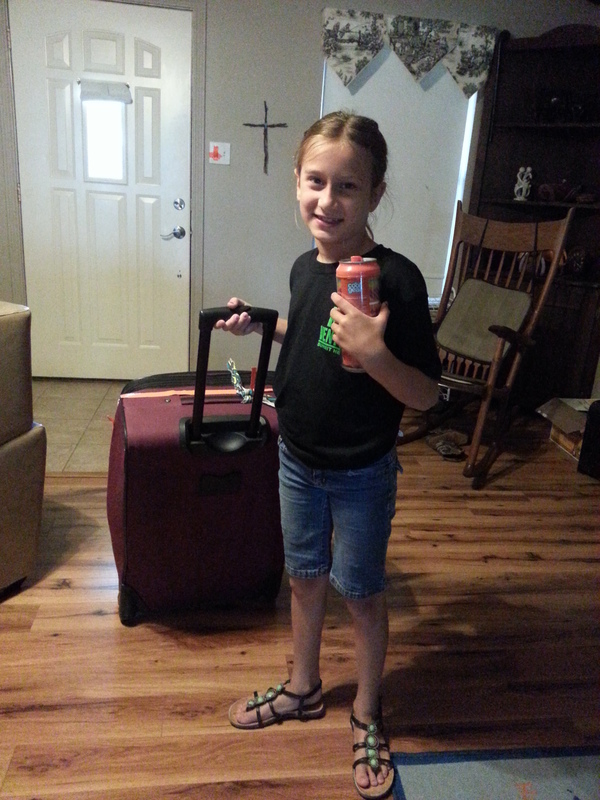 Plus, I dropped off my daughter to an overnight church camp for the first time! Pre-teen camp. Since when did she turn into a pre-teenager? And where did she get this bravery to spend 4 days at a camp without knowing anyone else there very well? Saturday is when I heard the words that inspired this post. Saturday, the day Adam and I took off for Dallas to celebrate our 16th anniversary as Mr. and Mrs. Adam Steck. A day I’m very proud of. 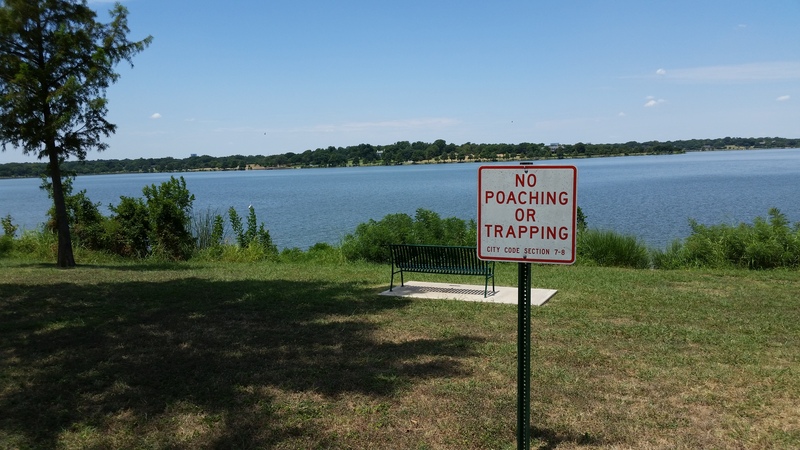 Adam and I sat at Cheesecake Factory, after we witnessed Mission Impossible’s latest feat, feasted at Babe’s Chicken and walked in flip flops hand-in-hand partly around my old stomping grounds of White Rock Lake. This picture was in honor of my son, Caleb who loves to trap! By this time, we were weary of Dallas traffic, crowds and being out in general. We immensely enjoyed the alone time together, but were ready to be heading home. 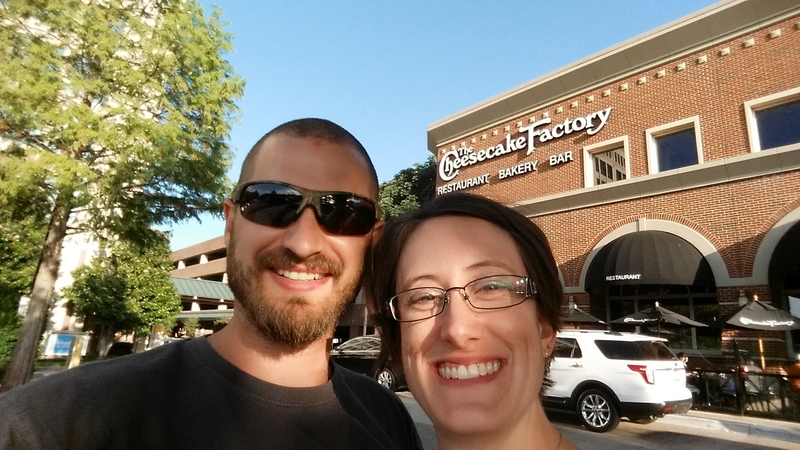 We finally agreed to split an appetizer, a hamburger and top off our date with a chocolate mousse cheesecake. The waitress came and took our order while we waited and people watched. Our appetizer came first, of course and after we cleared the plate I started grumbling that we should’ve just ordered 2 appetizers and foregone the hamburger. “It would’ve been cheaper and faster,” I conclude. His response made me smile, loving how he threw that compliment in completely free and unprompted. Those words stayed in my head on the way home. “I am completely satisfied.” That’s a beautiful thing. To be completely satisfied means I’m not looking at the menu wishing I’d ordered something else. Even if it could have been cheaper and faster, I’m satisfied with what I have. Satisfaction with what we have doesn’t come naturally. True contentment is born of the Spirit. “Am I completely satisfied? Satisfied with all of life right now, or do I wish I had ordered something different” I asked myself. I thought I was. Sixteen years of marriage to my favorite person on Earth. Yes, I love my life, wouldn’t change it. So why this prick in my conscious? Sunday morning it got more personal – It was the last statement from the sermon that hit me. I don’t even think the Pastor said these words, but I had to write down this question while the rest of the congregation joined the Pastor in prayer. Yes, Lord, You know that I am. Totally satisfied. Or am I completely satisfied when I’ve completed my to-do list? Am I satisfied when things go slow according to my schedule but I hear You say, “Wait here a minute”? When days are busy am I satisfied with Your voice or do I seek to hear praise from the voices around me? Am I completely satisfied in You plus my things? Or am I just satisfied in You? Honestly, is that possible? How do I do that? Satisfied with seeing your likeness. That is my prayer. That all the holes in my soul would be satisfied in His likeness. His goodness will quench my thirst. His love will make me whole. His patience will surround me. His gentleness will draw me near to Him. His Peace will calm me. His joy will be my strength. We have been redeemed! We should be glad all our days and I pray they are marked with pure satisfaction in Him. May we be about His purposes, and not our own. 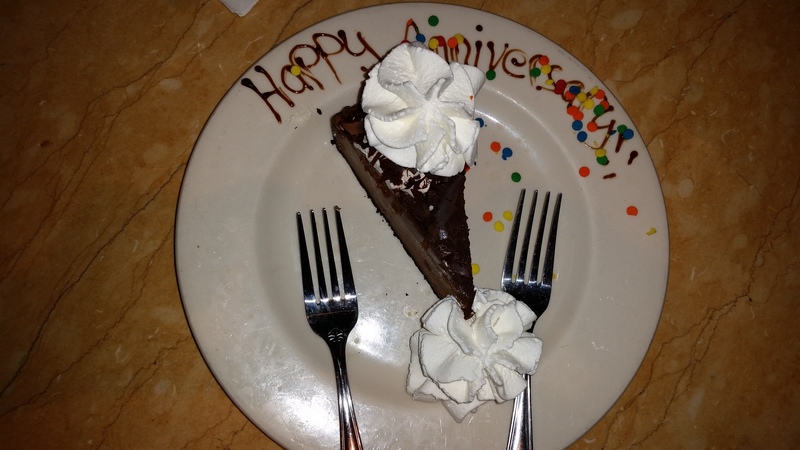 Here’s the slice of cheesecake before we devoured it! It was very satisfying! I’m thankful He lets us taste satisfaction in him even while he is teaching us lessons on being satisfied.